In the Ancient World, one army was feared above all others.401 BC. The Persian king Artaxerxes rules an empire stretching from the Aegean to northern India.As many as fifty million people are his subjects. His rule is absolute.But the sons of Sparta are eager to play the game of thrones . . .Battles can be won - or lost - with a single blow. Princes fall. And when the dust of civil war settles, the Spartans are left stranded in the heart of an enemy's empire, without support, without food and without water. Far from home, surrounded by foes, it falls to the young soldier Xenophon to lead the survivors against Artaxerxes' legendary Persian warriors.In the Ancient World, one army was feared above all others.401 BC. The Persian king Artaxerxes rules an empire stretching from the Aegean to northern India.As many as fifty million people are his subjects. His rule is absolute.But the sons of Sparta are eager to play the game of thrones . . .Battles can be won - or lost - with a single blow. Princes fall. And when the dust of civil war settles, the Spartans are left stranded in the heart of an enemy's empire, without support, without food and without water. Far from home, surrounded by foes, it falls to the young soldier Xenophon to lead the survivors against Artaxerxes' legendary Persian warriors. 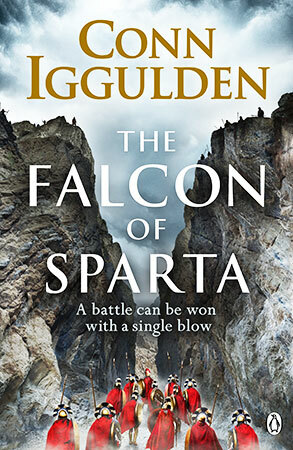 Based on one of history's most epic stories of adventure, Conn Iggulden's latest bestseller pits Persians against Spartans in a legendary battle.